Change, though inevitable, can be challenging for elderly people who have to leave the comforts of their home and join a senior care community. It may be a bittersweet occasion, as they bid the life they knew for many years’ farewell and look forward to a new chapter in their lives. Children should be there for their parents at this time, doing their very best to make sure that everything falls into place and the transition to an assisted living community goes smoothly. If you are little lost on how you can best help your parents make the move to an assisted living residence, here are a few helpful strategies that you can employ to help parents move to assisted living seamlessly. In some cases, your parents don’t want to move to assisted living, but it may be the most ideal place for them that can provide the care they need and deserve. 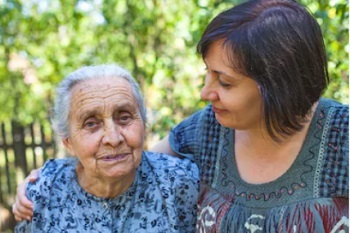 There are many situations that require your parents to be in assisted living – sometimes it is because you as a caregiver have burnt out, or that you or your family simply cannot provide the care that your parents currently need. In some situations, your parent may have dementia or Alzheimer’s disease and requires a dedicated Alzheimer’s care facility. Whatever your specific situation is, you want to make sure that you help your parents every step of the way. In many instances, your parent or parents will be happy about transitioning to assisted living. However, even when an elderly person is happy and willing to transition into assisted living, there are still numerous emotions involved because of the life-changing event. Children need to fine-tune their empathy skills and support their parents at this crucial time. Your parents, at some point in time, may feel like they are letting go of their independence and becoming a burden to the caregivers – who are in most cases their children. They may be scared thinking about how they will find their way in the new assisted homes, scared about aging, or meeting new friends. You need to remember that this phase of life comes after being independent most of their lives, raising a family, taking care of others, and just handling business on their own. At times feeling like a burden is normal, but the good news is that it will not last a lifetime. Keep reassuring your older parents that they are valuable and emphasize the things that will most likely remain the same. It could be a book club with their friends, a weekly card game with grandkids, or any other hobby they enjoy. Your parents should understand that although their lives will change, there are some parts that will remain the same in the assisted living setting. Moving to an assisted living facility often means that seniors have to downsize because they will be staying in a smaller space. As much as they would like to carry all their belongings, it may not be practical. Approach the subject with a lot of caution so that everyone is happy with the decisions the family makes. Identify some of the items that your parents absolutely love and make the necessary arrangements to have them in the retirement community. Remember that senior citizens may need a lot of time to pick the items that stay and the ones to let go of. Give them enough time to process the move and to take those things with them that will be associated with their most fond memories. Always encourage your aging mom or dad to look forward to the adventure that awaits them in their next stage of life. It is vital to know what to do with the house. Some older adults may be okay with selling it or even renting it out to earn some money that they can use for long term senior care. In some cases, children or other relatives may move in and take over the responsibility of looking after the home. Discuss this with your parents beforehand, ideally before you start looking into the assisted living option so that you do right by them. Moreover, it helps to know what to do with the items that your parents will not be taking to their new living space. They can decide to sell them or give them to charities or friends and relatives. Let your parents be in charge of this aspect because at the end of the day those items are their belongings and have the freedom to do whatever they wish with them. Do not wait until the night before moving to start packing frantically. This move will most likely stress your parents and start them off on the wrong foot. Be sure to pack in advance so that there are no last minute problems. If you are working with movers, do due diligence to identify a reputable service provider. If possible, have a small celebration or party or just do something fun with your parents the day before they go to their new abode. Let them take enough rest to have the energy to deal with the transition. Older adults need to prepare adequately for life in the assisted living residence. You and your parents need to learn the do’s and don’ts of the senior living community so that they can live peacefully without breaking any rules of the facility. Familiarize yourself with the policies of the facility and be sure to read through all the paperwork carefully. Address all queries you have before the official moving day to be sure that everyone is comfortable and on the same page. Study any senior care residence materials sufficient time in advance before the move. Make sure that you ask enough questions during assisted living facility tours so that you are well prepared. When packing, you can also ask staff about some of the items that they suggest that the seniors bring along. It is a good idea to allow your parents to have full control when it comes to decorating their new spaces. A majority of senior living facilities will give your parents freedom when it comes to decorating, which means that your parents do not have to leave the comforts of home behind. Have as many personal belongings as possible in the new home for that comforting feel. Experts agree that taking personal belongings helps residents to settle in faster. Items that are a must have may include favorite books, photo albums, familiar pieces of artwork, tea cups, coffee mugs and familiar pillows and blankets. Ideally, it is best to avoid having too many new things in your parents’ new living space. As tempting as it may be to furnish the new place with the latest gadgets and fancy items, it may not necessarily be the right move. Keep in mind that the move is a significant adjustment where a majority of things are new, including the daily routines, food and people. You need not overwhelm your parents with other things they need to learn. It may be a good idea to wait until they are settled in before you shop for too many new items they will need or would like to have in their residence. At the end of the day, it is all about your parents’ style and comfort level. Adult children who have been caring for aging parents have to deal with their own emotions when parents move to assisted living. You may be feeling guilty asking yourself questions such as did we make the right decision, was it too early, are my parents okay and so forth. One way of making sure that you made the right decision is to visit your parents at the assisted living home. It will allow you to see how they are faring on and it also gives them an assurance that their children did not just abandon them in the facility. Although it may be tempting to visit every day, it is not recommended. Both of you need space to adjust to the new beginnings. At first, you may visit two or three times a week just to make sure that everything is in order. From here, you can go once or twice in a week, such as on the weekends or when you have time. Seniors need some alone time to adjust and get to know new people. If you have siblings, close friends, relatives, and other people who are close to your father and mother, let them visit as well when you are not around. Try and schedule visits when the parents are doing an activity to connect. Random visits are also an excellent way to get a true picture of the care the facility offers. Retirees may experience fear, excitement or a little of both when moving to assisted living. It can feel lonely and isolating, especially during the first weeks of residence where they are not familiar with the new environment. Consult with activities staff at the senior living community and let them know what your parents love doing. Find out if there are residents who can show your parents around, mentor them, take a class, or share a meal. Developing friendships is a sure way of occupants feeling at home. Give your parents a little bit of time to adjust to the new living situation. Not all parents will have a similar experience. Some will settle in a lot faster than expected while some may take their time. Allow your parents to start their journey in assisted living at their own pace. They may not want to jump right in and start with the activities right away. Your mom or dad may prefer to remain in their apartment for some time before getting themselves involved in social activities at the community. Talk to your parents about their concerns and allow them to feel the way they do while at the same time cheering them on to embrace the lifestyle. Listen keenly to what your parents have to say and be their best advocate to help the transition become smoother. With time, they will be very familiar everything and start enjoying the new place to the fullest. Senior care professionals maintain that it is a great idea for adult children to stay in touch with caregivers and other staff members who will be looking after their parents. Remember that the caregivers do not know your mom and dad very well at first. Checking in periodically with personnel in charge of caring for the retired adults will let you in on how your parents are doing. It is also an opportunity to present caregivers with some of the small day-to-day things that will make your parents comfortable in the residence. Talk about any medication that your parents have to take, about their diet and daily routines. Your parents should also be part of the discussion so that they feel like they still have control over their day-to-day lives. Talk to a marketing director or any other management staff in regards to who your primary liaison personnel will be. Long-term care communities do not have similar personnel structures. It is because staff members and their roles depend on a number of factors including number of residents, services they offer, size of the community, and budget. Having a “point person” makes things a little bit easier in assisted living. Your parents will not have to stop the first staff member they see to handle issues like housekeeping or anything else. In most cases, the person to handle this will be the general manager or the person who is second in command. He or she is in the best position to advise on the best personnel members to talk to in different circumstances. Where possible, inquire about job descriptions or organizational charts. Moreover, the facility also needs to know who to contact in case of emergencies. It’s great if your parents are happy about moving and don’t have any strong negative feelings about their next chapter in life. Many adult children, however, have to deal with a lot of resistance even from retired adults who had once agreed to move to assisted living and were even looking forward to it. It is a test you have to take positively and look at it as an opportunity to help your parents, even when there are numerous things to argue about. The idea behind this is to let parents tell you all the things that they are concerned about so that at the end of the day they feel that they are the ones in control of the decision-making process. It is one of the reasons why you should never rush the move until you make sure your parents are emotionally prepared. Always stay positive and pass this positive energy to your parents as well. In the case where everyone in your family is too busy or you just cannot agree with parents on anything, it may be time to seek expert help. Consider hiring specialized moving services that have a reputation of easing transitions to senior living residences. The professionals can step in to work with families and answer any questions they may have about moving. They also take over all the details that are associated with not only planning the move but implementing it as well. The moving experts go through training that allows them to assist aging individuals and their family members through the entire process. Most importantly, they provide crucial emotional support in addition to the logistics services. They know how to tactfully deal with unrelenting seniors from the beginning of the move to the end. Many of the professionals have backgrounds that relate to elder care fields like gerontology, senior living, healthcare, and social work. Do due diligence when hiring some help to make sure you get the best on the market. When your beloved parents are moving to assisted living, it is best to be with them throughout the entire journey. Children need to be involved before, during, and after the move. Although your parents’ official address changes, your parents will still be your parents; thus, there is no reason to treat them differently. Continue showing them all the love, care and support, and your parents are bound to have a fulfilling retirement in assisted living communities. Please enter a 10 digit phone number with area code.